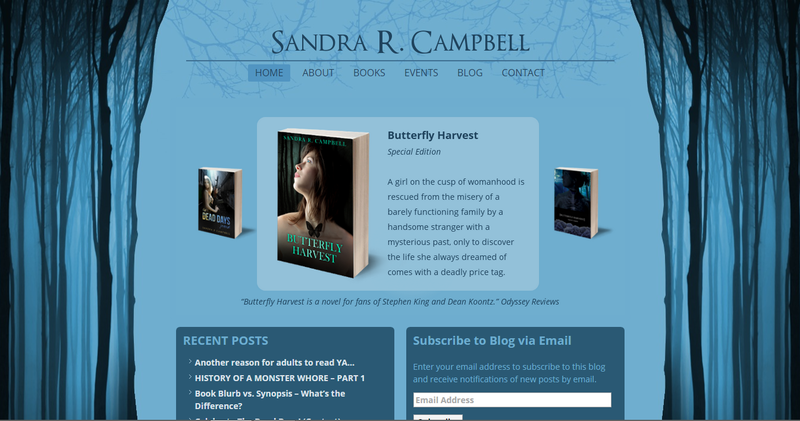 A website I designed for YA Author Sandra R Campbell. 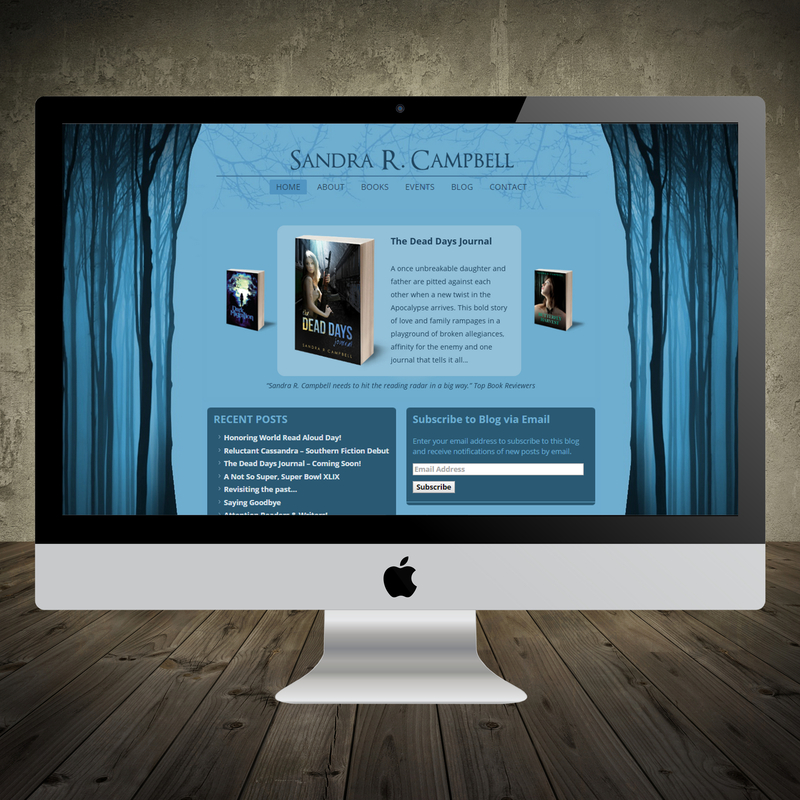 When Sandra came to me, she was using a free WordPress template, and she wanted a custom website design that would appeal to her readers. Sandra was surprised to find she liked the lighter concept better, because she thought it was more inviting. 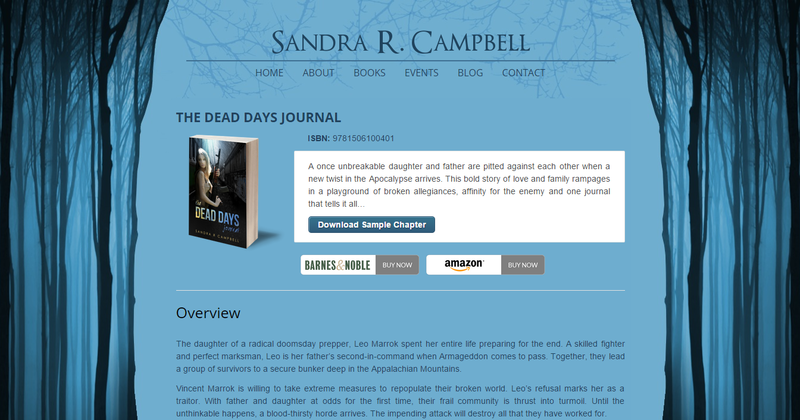 Sandra wanted a layout that was simple, easy to read, and easy to navigate. She wanted a static front page where you could scroll through her books and see her recent blog posts. 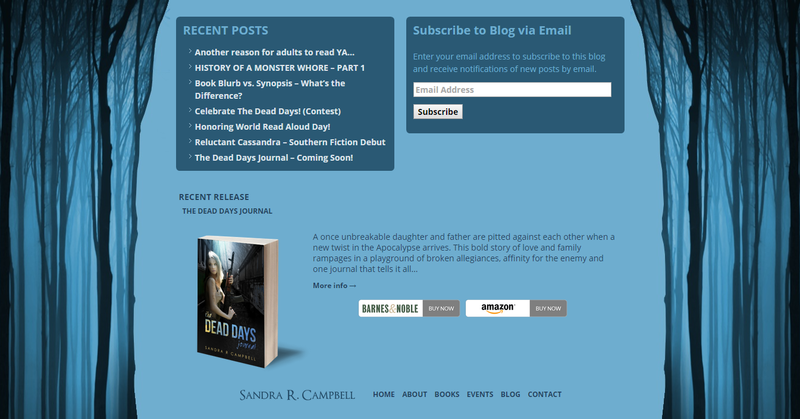 To keep things clean and simple, rather than including the customary sidebar on Sandra’s blog page, I set up a footer for her that would display her latest blog posts, a blog subscription box, and her latest book release. 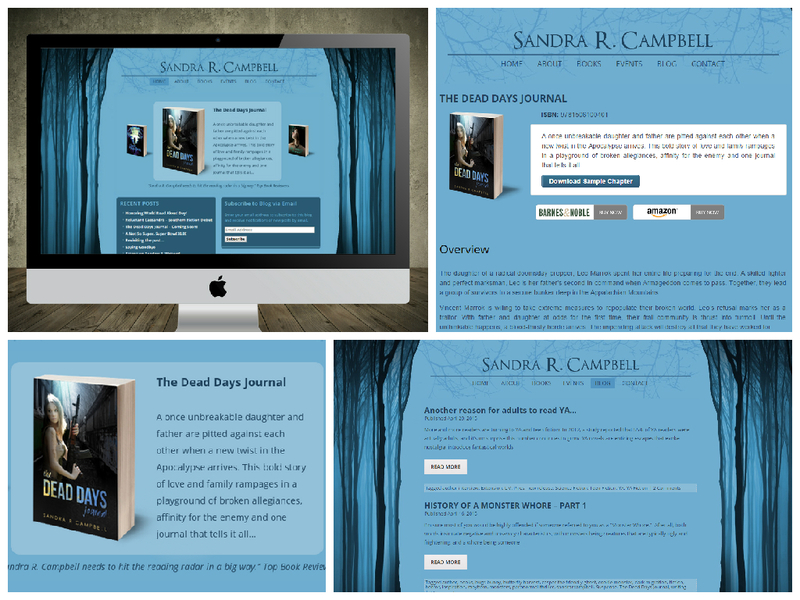 I also set up a books page for Sandra where she could easily display all of the information on her books and where readers can purchase them.